Curriculum materials should be age-appropriate and compatible with your teaching style. Your child won't be the only one learning as you begin home schooling. 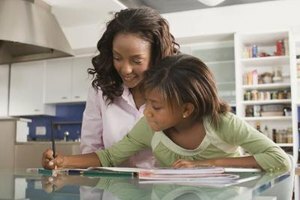 Curriculum choices, home-schooling laws, organization and learning opportunities are just a few of the issues home-schooling parents navigate. Your effort up front will help you get you up and running with your home-schooling routine. You'll need to know where your state falls when it comes to home schooling. 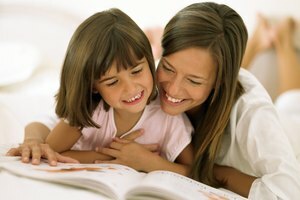 Each state regulates home schooling, ranging from minimal requirements to very strict regulation over assessments, curriculum and processes. According to the Home School Legal Defense Association, you need to follow the laws in the state where you physically live at the moment, even if you are a legal resident of a different state or are only in your current location temporarily. Your state's department of education or your local school district can help you understand requirements specific to your state. Most public schools take a traditional, structured approach, focusing on core subjects. You can follow that same format at home or choose a more flexible teaching method. You might approach home schooling in a unit study format, where you choose a theme, such as the Civil War, and incorporate it though all subjects. Unschooling is another approach, in which students lead lthe earning by following their interests or they ask questions through interactions in daily life. You might stick to a paper-and-pencil curriculum or develop your own project-based learning. Having an idea of how you want to approach home schooling helps you choose learning materials and plan instruction time. The curriculum materials will guide your instruction and set the tone for learning. Most curriculum kits include teacher instructions and student materials with detailed lesson plans provided. It should match the teaching style you prefer for your child. Other families who home school can provide feedback on specific curriculum materials so you get an idea of how well the material will work. If possible, look through the teacher's manual and student materials yourself before deciding on a curriculum. You'll need basic school supplies, including paper, pencils, crayons, scissors and glue. Hands-on learning tools might include dry erase boards, globes, maps, math counters, math tools and science tools, such as magnifying glasses and microscopes. A computer connected to the Internet is another useful tool for home schooling. You'll also need a planner or notebook for your lesson plans. Pencil in the lessons from the curriculum as well as any field trips and hands-on activities you plan outside the curriculum. Organization is essential when using your home for both living and teaching. Designate a learning area, whether you use the kitchen table or have a spare room to convert to a classroom. You'll need space to hold materials and hang schedules and work your kids create. The schedule is another key part of organization. Block out a chunk of time each day for home-schooling lessons based on when your child is most attentive and ready to learn. You don't have to teach every subject every day. You might have a long block of language arts activities one day, followed by a long block of math the next. Leave flexibility in the schedule in case you fall behind or need longer to explore a certain subject. For example, you might plan out only a few weeks of lessons at a time to see how far you get before writing out your next lesson plans. If you are new to home schooling, support from those who are already teaching their kids at home can be invaluable. Check out home school support groups in your area. Some groups focus on a religious home schooling experience, while others are secular in nature. If you have more than one option, check out a meeting for each to find a match for your family. These groups often include resources for parents and learning opportunities for kids. The group may organize field trips for the home schooled children. Part-time enrollment in a public school or community college gives you flexibility in home schooling. For example, if you don't feel comfortable teaching your high school student chemistry or advanced math classes, he can join his peers at a public school. Online classes offer an alternative. Online schools offer classes for all ages to supplement your instruction. Home-schooled students also have the option to join peers for extracurricular activities, such as sports teams or drama productions. This gives your child those experiences that are difficult to recreate in a home school setting. Check with local museums, zoos, art centers and similar resources for special programs designed for homeschooled children. These programs can round out the instruction you do at home. Frost, Shelley. "How to Homeschool Your Child." Synonym, https://classroom.synonym.com/homeschool-child-134503.html. Accessed 21 April 2019.